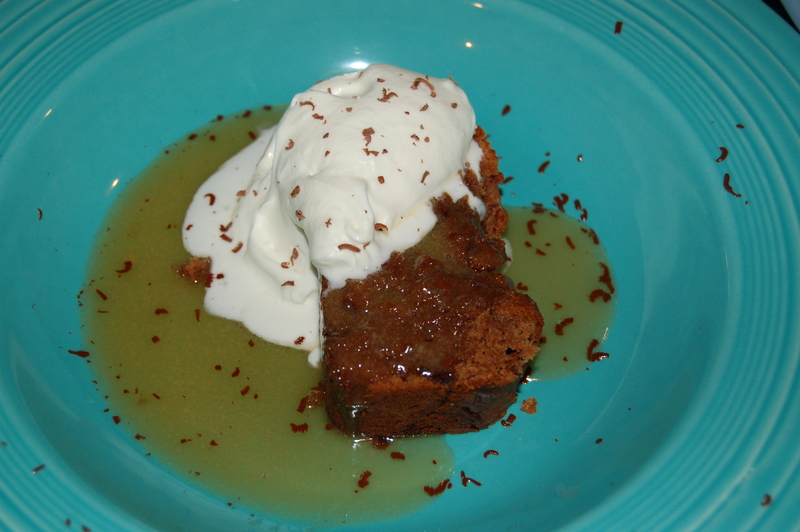 Chocolate Toffee Pudding with Warm Toffee Sauce and Fresh Cream (serves 6-8) | Crappy Kitchen - Good Dinners! When I want to have friends over for a little dinner party my night of choice is Friday. By the end of the week I am always itching to have a bit of fun and Friday is the beginning of my weekend so why not jump in feet first! 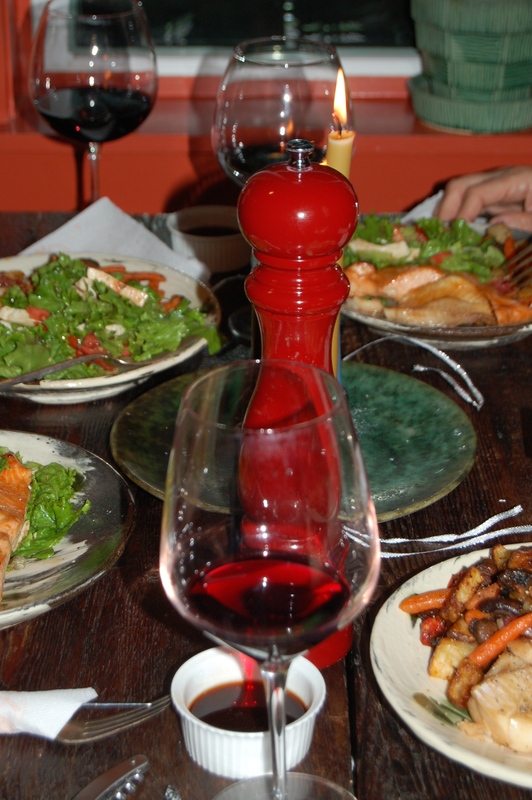 If I lived in a place where I could walk to a decent restaurant and sit with friends over some good food wine then that would also be part of my weekend agenda. Alas this is not the case, so I have learned to create an intimate restaurant atmosphere in my house and, sometimes that includes serving a luscious dessert that I imagine being brought to my table by some white-aproned waiter. This past Friday was one such evening in my little pretend Chez Tess bistro and I made a dinner that allowed me to sit like one of my customers and enjoy the atmosphere along with everyone else. This dessert was something I could prep ahead of time and then pop in the oven while we were eating dinner. 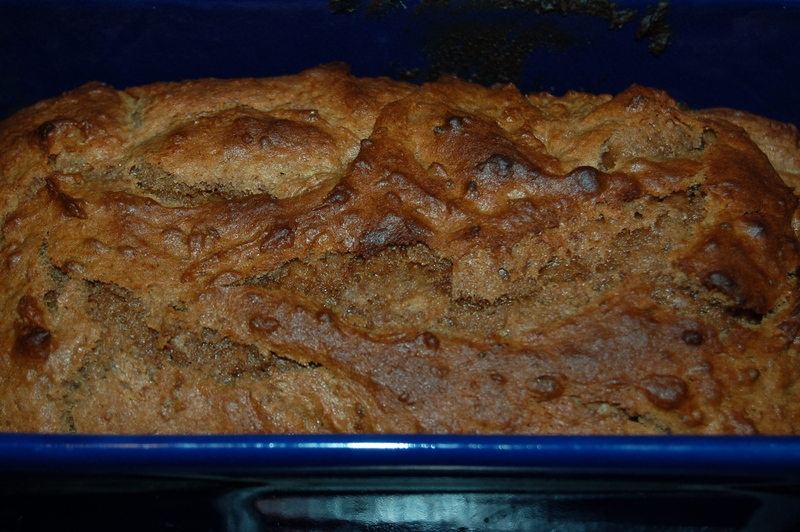 It is based on a great Jamie Oliver recipe but I did change some of the ingredients both out of a desire to make it my own, as well as for some practical reasons: I didn’t want to tromp off to the supermarket to get self-rising flour for one! He also used ovaltine which is an instant sweet malted-milk powder and I didn’t have it, or care to use it so I went with unsweetened cocoa powder instead to give it a deeper chocolate taste (it would also curb the sweetness). The thing that would have been a sin to mess with was the addition of dates. He used fresh fruit but I had some unctuous dried Medjool dates that I knew would work the same if not better. Dinner was amazing but the dessert is how I will remember this evening. Making the effort to create an intimate relaxing atmosphere and cooking dinner for my friends is worth mustering up that last ounce of energy I have left by Friday. I hope you are inspired. 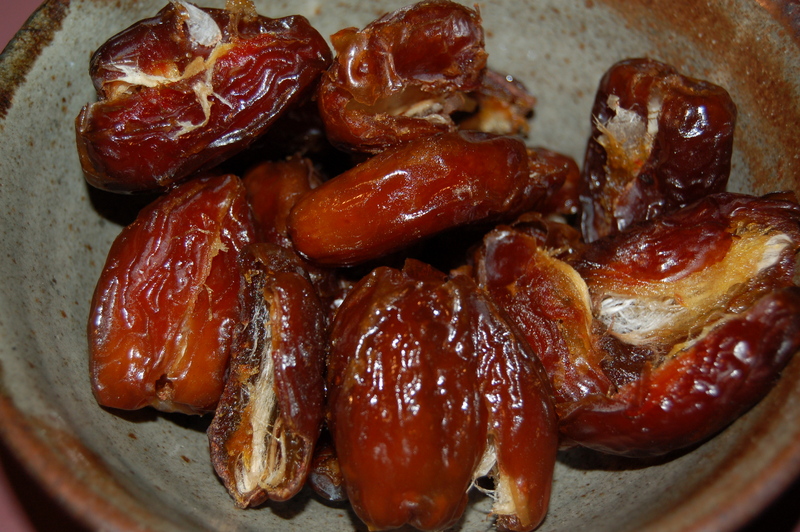 1 – Put pitted dates in a bowl and sprinkle with baking soda and cover with boiling water. Let sit for 5 minutes and then drain. Pop into your food processor and blend until you have a nice puree. Set aside. 2 – Place dry ingredients in a small bowl (flour, spices, baking powder and cocoa powder) and mix together with a hand whisk. 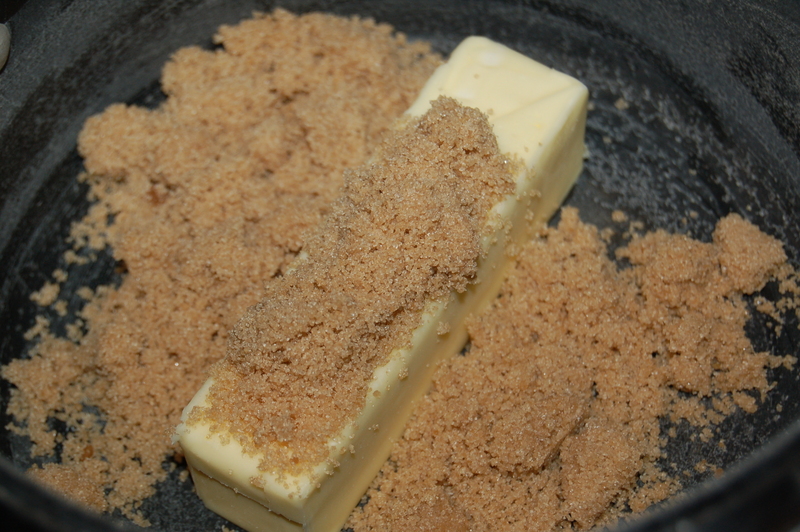 In large bowl cream the sugar and butter together until it is pale and smooth (about 3 minutes). Add eggs one at a time and whisk. 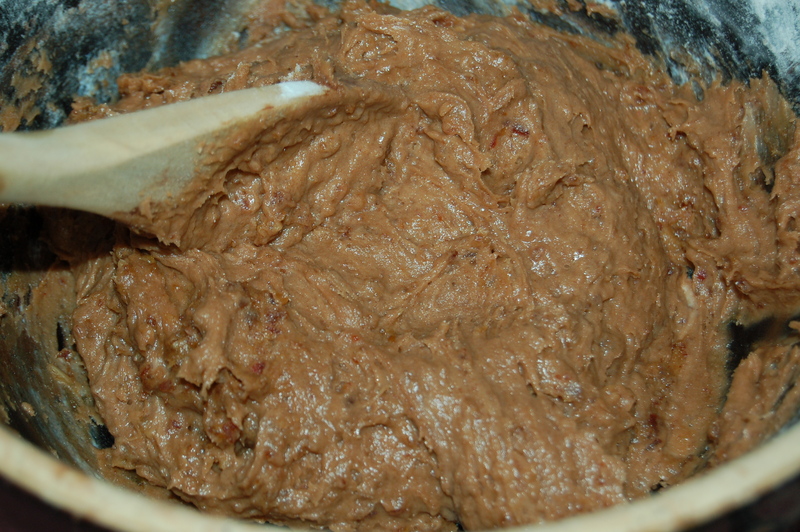 Add the flour mixture and mix with a wooden spoon until blended. Fold in the yogurt (or sour cream) and then the date puree. 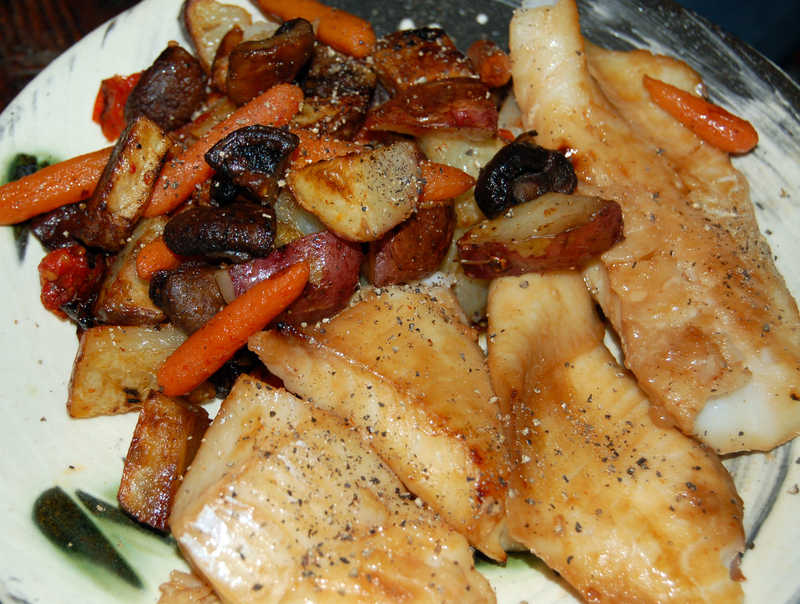 Place in a buttered oven proof dish (I used a loaf pan but any dish will do) and place in preheated oven for 30 minutes. 4 – Make toffee sauce by placing the toffee ingredients into a small bowl and heating on low heat until everything is melted and smooth and has taken on a darker, richer color. 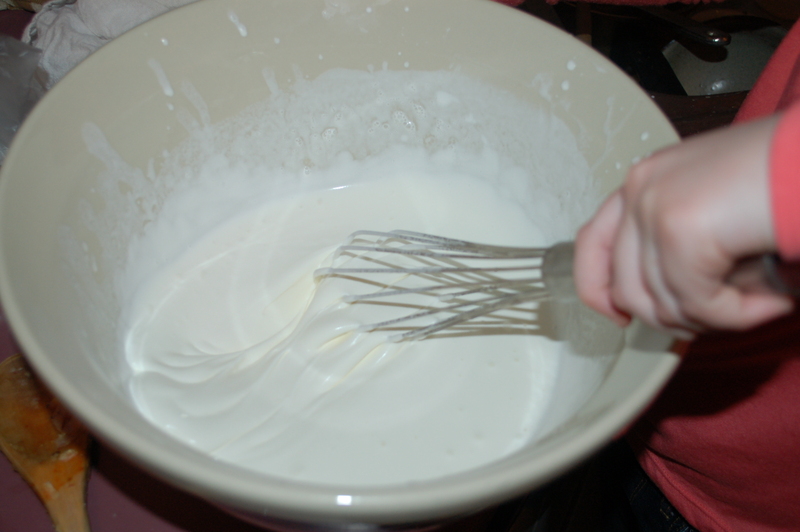 5 – Next add the heavy cream to a bowl and add 2 teaspoons of confectioners sugar and whip until nice and thick. 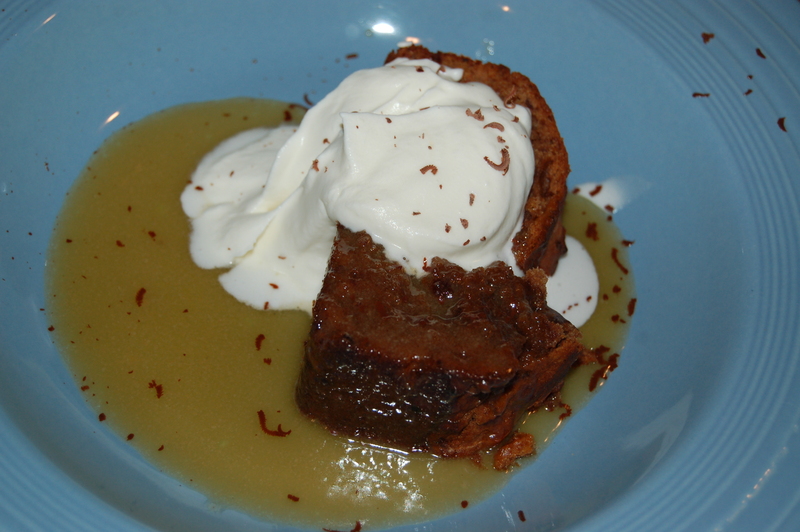 Place pudding on the bottom and spoon some toffee sauce over top and a dollop of whipped cream. I added a little flourish of grated chocolate to finish it off! This entry was posted in dinners and tagged canned toffee, chocolate toffee pudding, dessert, dinner party, dinner party dish, freinds, fresh cream, great dessert, home bistro, medjool dates, pudding and cream, toffee pudding, warm dessert. Bookmark the permalink.